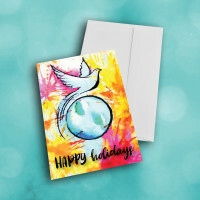 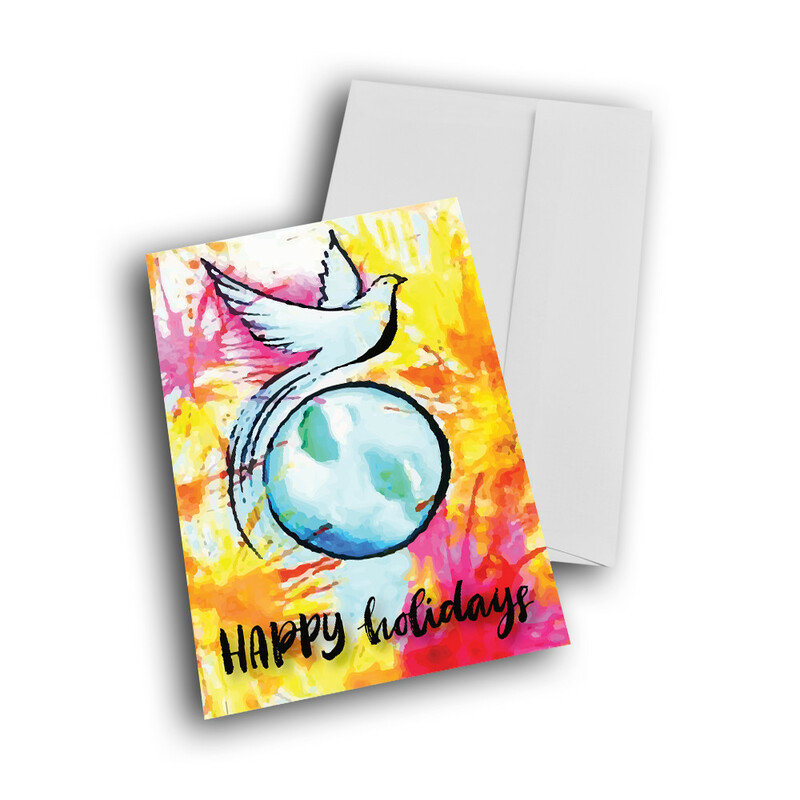 Send some unique and artistic greetings this holiday season, with this creative, peace holiday card. 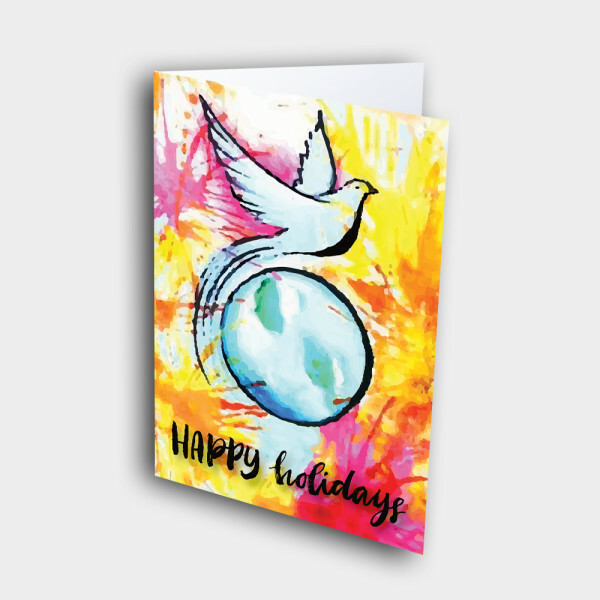 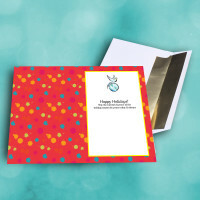 This bright and bold holiday card is sure to stand out. The front is patterned with bursts of pink and yellow paint, surrounding a beautiful white dove in flight around the earth. 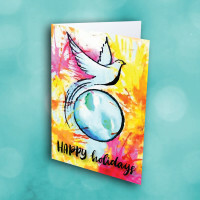 The dark-red inside is decorated with a colorful, paint-splattered pattern, as well as a warm message. 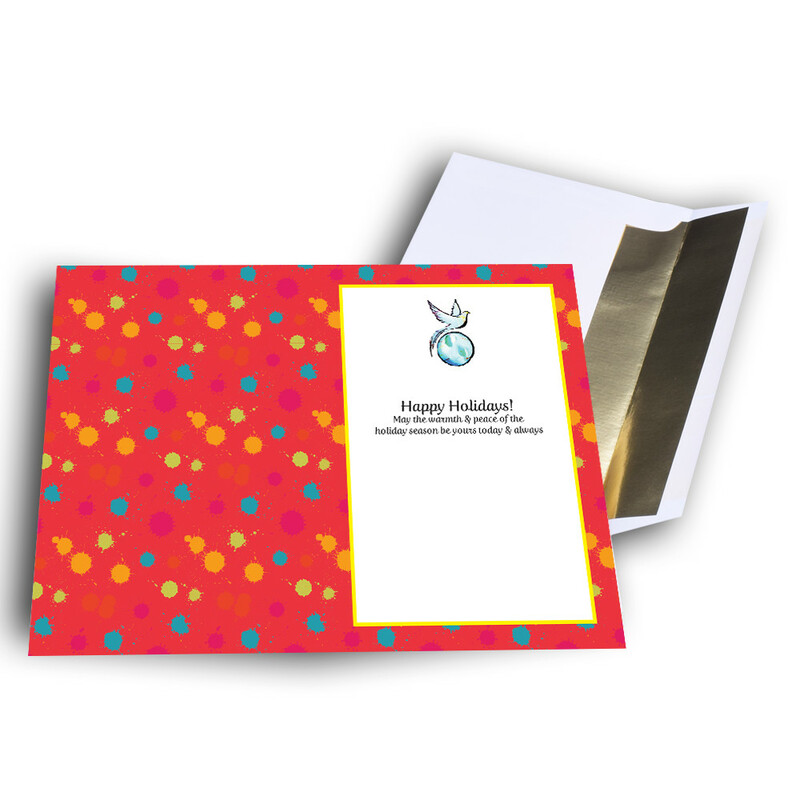 This message can be personalized to make this card even more special.